Planting InstructionsPlant 3-6" deep and 4-6" apart. Additional InformationAll parts of the plant are poisonous. Do not ingest. Keep out of reach of pets. Unique CharactersticsClock shaped flowers, leaves are long, strap like pale green. Excellent for bouquets, long lasting vase life. 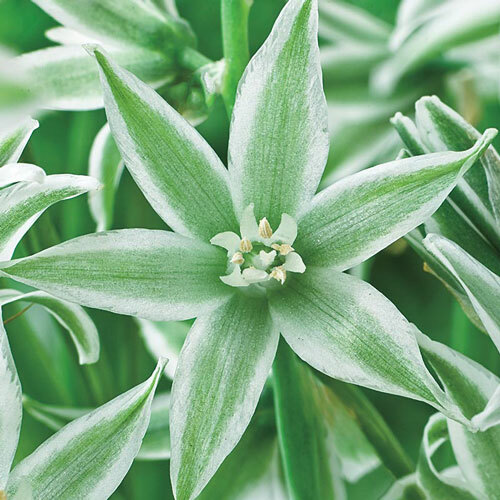 One of the very few hardy Ornithogalum. The flowers are born on spikes in groups of 3-12 with each flower having six separate spreading petals. 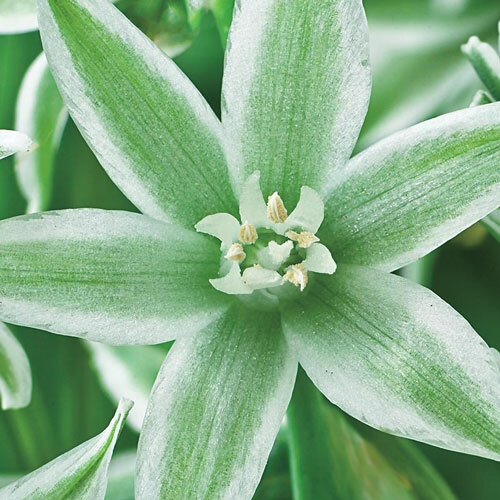 The nodding star shaped flower have soft jade green colored bands in the outside and are white on the inside. Member of the Lily family.